28 Lukie Points will be rewarded to you when you buy this. 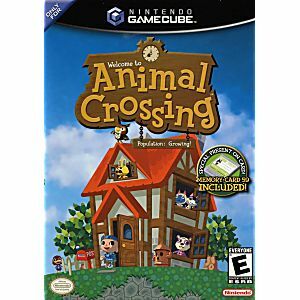 Step into the world of Animal Crossing, where villagers live their everyday lives in time with an actual 24-hour clock. Animal Crossing allows you to interact with a virtual village of animals that are doing something different every minute of every day. The dynamic setup will have players coming back every day to carry out their daily routines, build relationships with villagers, celebrate special days, collect furnishings for their homes and just live life in an innovative experience that's a world of its own. I purchased this game along with a GameCube system also from Lukie Games, and when it arrived at my house, this game kept giving me an error message. I tested a couple other games to test if it was the disk itself or the GameCube, and those worked. I contacted Customer Support and explained the situation to them and they were quick to respond saying that they would send out a replacement, and that happened within about 24 hours. Within about a week I have the new disk, and this one worked! I'm very satisfied with the Customer Service speed and how easy it was to replace the game! I'm so glad the second disk worked once I received it! Not sure what was wrong with the first one, but don't let that stop you from shopping here. The Customer Service was extremely helpful and fast to reply so it was not difficult at all to get the situation resolved! The game is in great condition. I am thoroughly enjoying playing Animal Crossing again! I've come back to Lukie Games to buy more games and accessories...so glad I found you guys! Game was in fantastic condition and it still SLAPS!! I loved this game when I was a kid and I'm super glad I can play it again. Thanks! 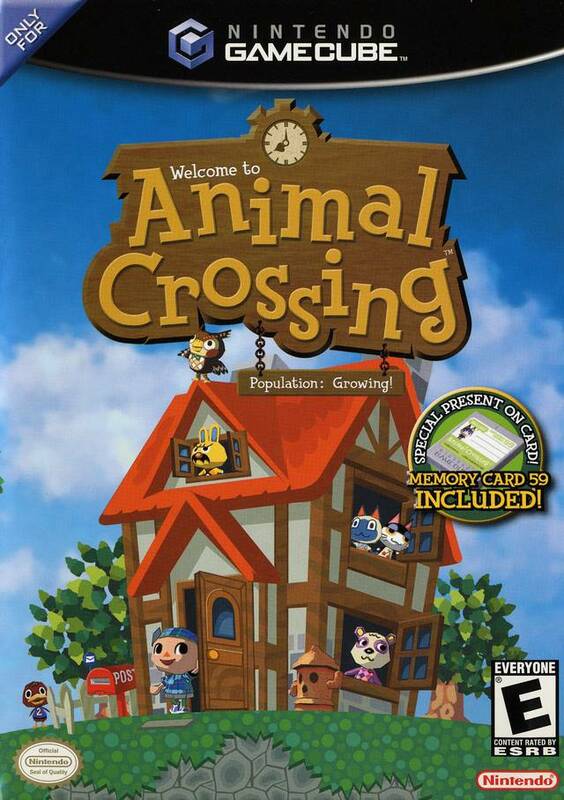 Going back to the roots of Animal Crossing reminds me why I love this series. Some things about the game are a bit archaic by today’s AC titles, but don’t look past this title if you’re a fan of anything like Stardew Valley or Harvest Moon. Fantastic game. Game arrived in a timely manor and the disc is in excellent condition and works perfect. My S/O was very happy and excited to relive an old memory. I wold definitely buy more games from Lukie Games. Overall my order went great. My game arrived in a decent time considering everything going on with the hurricans at the time. My game had no scratches and tge case and manual was is in perfect condition. Would definitly recommend this site to anyone. I bought this for my wife. She opened it at Christmas but found out the disc had a problem and would not play. Emailed lukie and with in a week and a bit I had a new one and it worked perfectly and my wife loves playing it. Love the game.It's in great shape. Great Game! It was delivered on time and was in perfect condition! Will definatly be ordering from lukie games in the future. Awesome game, excellent condition! Will buy from Lukie games again!